In today’s digitalized world every business concern is well aware of presenting products or services’ photograph outstandingly. Whether you are a photographer or E-commerce seller you need to create brand recognition to stay alive in the online competition. So when the question comes to representation, the features should look much better. That’s what image editing do. Now-a-days we’ve many advanced techniques to improve the quality of an image. Moreover, the scope of manipulation is also increasing. Smartphones are considered to take photograph only besides taking calls or texting others. Similarly, this isn’t a surprising fact that Smartphone photography is getting popular. But it has two problems. First, these device isn’t capable of capturing same details as DSLR or high devices. Second; different device has individual sensors which can give you varied results. So again editing is a must for smartphone photography also. 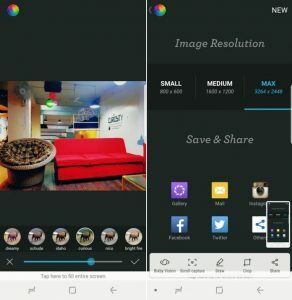 After finishing your edit, you can share your beautiful photo to the worlds largest, free to use, paid per view, image sharing platform site called clickasnap. 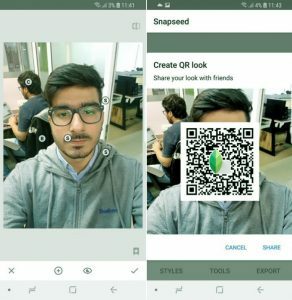 We’ve compiled 10 best Android applications which are capable of performing more than image edit tasks. 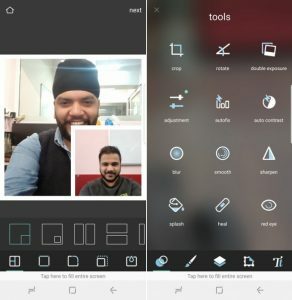 Can you imagine a photo editing apps have been downloaded 100 million times? Truly PicsArt is one of the top choice apps for photographers. Huge numbers of manipulating options have truly impressed the users. The built-in camera and direct social sharing option are outstanding. If ads are not an issue it’s collage, draw, frames customization options will give you best results. Yet another great inclusion in Adobe family. From basic to advance as crop, filter, sharpness, color alteration lighting, and focus are the feature which will impress you. This multifunctional and reliable app is free to download. This tool is dedicated in delivering professionally tuned outcomes. Stylish and user-friendly interface will give you great performance. 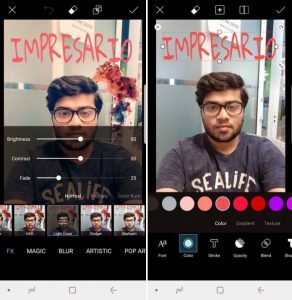 You can easily adjust color even just after taking photos with the built-in camera feature. Remove unwanted object with Content-Aware Removal tool easily. Free versions will contain ads. This is my personal favorite. 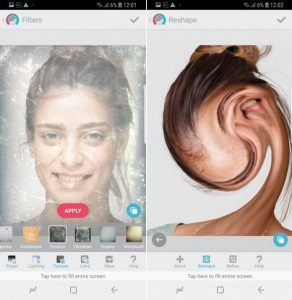 Don’t consider it just as a selfie app. It can perform more than that. When you’re hungry to take excellent images spot metering and stable shooting modes are dedicated to giving you best performance. You don’t have to deal with incoming ads while editing images. Whether you need conventional or complex tools to manipulate images, it’s truly a life-saving application. 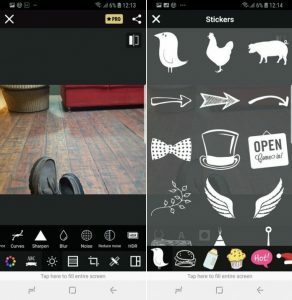 With bigger USP, this is simple yet powerful image altering apps for android. Seven enhancement options from the home screen will give you full control to do your task easily. Text-based edition and great collection of stickers are very impressive. You really can get highly customized photograph. Make awesome memes and get desired results in a flash. Make your beautiful portrait within minutes with this extraordinary and handy photo editing tool. Blur the background, crop in few seconds, vignette, and HDR effects are the most important features. 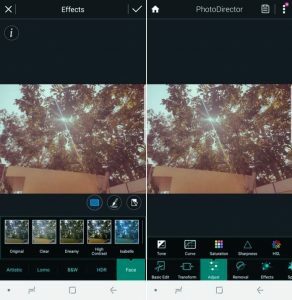 Edit filters or rotate simply with one touch. Have you taken an image of someone fat? Don’t break your head to edit this. Body slimmer tool is there to reduce your headache. Shrink the waist immediately. The download is free but in purchase version, you’ll get an additional component with no ads. Built-in 800 different effects will really make your photo unique than ever. Realistic photomontages, frames, artistic result, filtering image are the most impressive characteristics. Editors will feel quite relax to use the interface. It’s dedicated to deliver any photo alteration need from basic to advance. Download the pay version to get even more. This is pro editor software for all photographers. 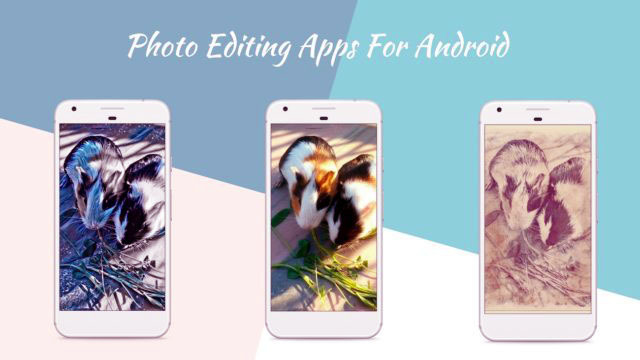 It’s basically a combination version of many image editing applications. 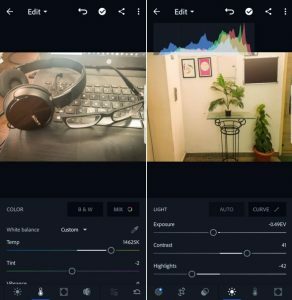 More than 200 tools have made this app more gorgeous. 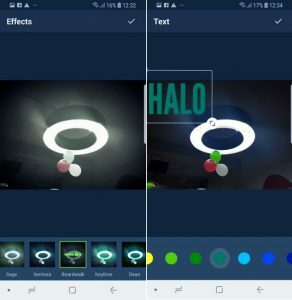 Add filters, play with saturation and enjoy much fun with this easy to use the tool. Besides basic features, you can enjoy image tone, HDR, and free resources. According to the usefulness, the above 10 are the best photo corrective tools from many. 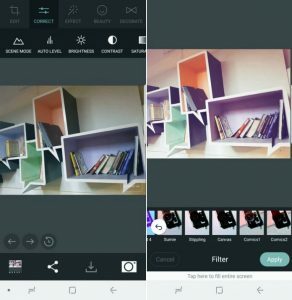 Every app has their own unique features and advantages speed up your Smartphone photography skills. 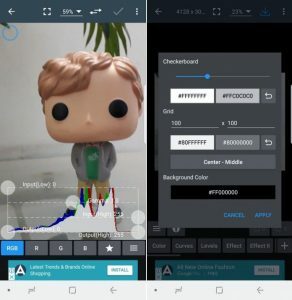 What apps do you use? If you have any other Android apps in your mind lets discuss in the comment section.